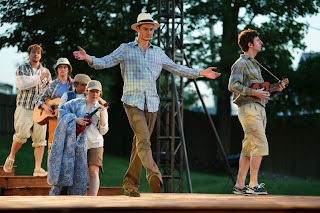 Shakespeare on the Sound in Rowayton's delightful production of “As You Like It,” a play about love set in the Forest of Arden. With the lovely outdoor location of the Pinkney Park as its stage, the production transports the audience into a magical place until Sunday, June 30, on an intricate parquet floor staged by Brian Prather. Artistic director Claire Shannon Kelly has also performed a little legerdemain of her own by relocating the characters into the modern day with references to cell phones and e-mails so flower children dressed in a festival of white roam in the merry woods. Two sweet and pretty cousins Rosalind (Katie Wieland) and Celia (Medina Senghore) have been unjustly banished to the forest by Celia’s father Duke Frederick (Andy Baldeschwiler) and go to seek Rosalind’s father Duke Senior (Andy Baldeschwiler) who has also felt Frederick’s wrath and lost his estates. The innocent girls are accompanied by Touchstone (David Gautschy), the court jester, who is determined to protect them as well as entertain them. Once in the Forest of Arden, Rosalind disguises herself as a lad Ganymede. In that guise, she rediscovers Orlando (Chris Ghaffari), a youth who fell in love with her while in Frederick’s court. Nor recognizing her, Orlando uses Ganymede to practice on with his poems of love for Rosalind. Meanwhile Touchstone gets giddy with the shepherd girl Audrey (Paula Galloway), the maiden Phoebe (Iris McQuillan-Grace) is actively pursued by Silvius (Matthew Dalton Lynch) and even Celia finds romance in the unlikely arms of Oliver (Daniel Levitt), Orlando’s not-so-nice brother. An added bonus to the production is the music and dance that is injected in traditional troubadour style. Performances are free, although donations are invited. Shows are 7:30 p.m. Wednesday - Sunday, weather permitting. Picnics are encouraged and blankets and beach chairs can be brought. The Pickney Park is off exit 11 of I-95. For information, email www.shakespeareonthesound.org. Discover the madness of love in all its varied complexions as traitors and teasers and poets and fools roam the pastoral pleasure filled Forest of Arden. As farces go, this is one of the funniest. It’s silliness on parade, in this case around and about the streets of ancient Rome. A slave named Pseudolus, wonderfully captured in the antics of Steven Hayes, desperately wants to win his freedom and so he concocts a convoluted plot by helping his young master Hero (Adam Maggio) win the affections of the lovely girl next door. The object of Hero’s affections is the beautiful virgin Philia ( Amandina Altomare) who resides at a house of ill repute, awaiting marriage to the dashing but vain Captain Miles Gloriosus (Colby Lewis) who has paid in advance for his bride. 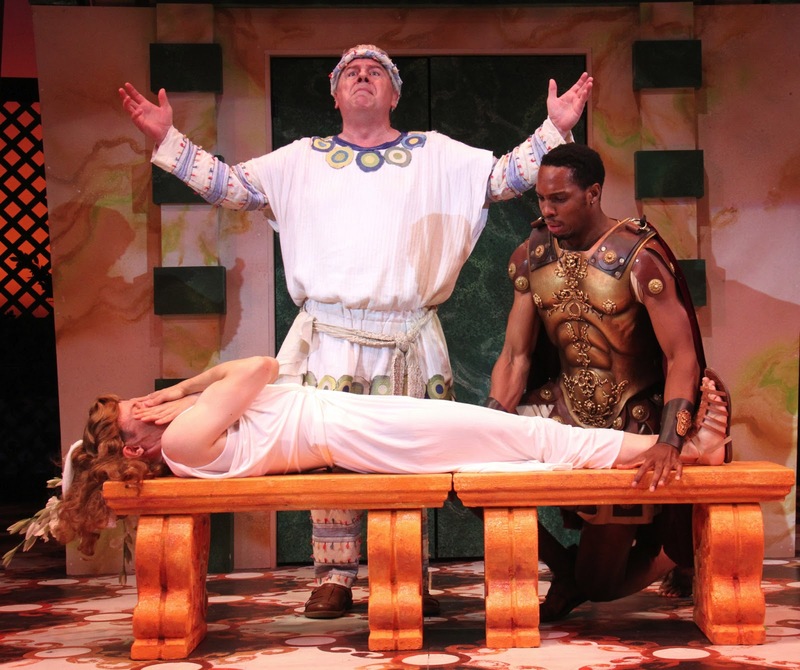 Hold on to your laurel wreaths, as the Connecticut Repertory Theatre presents “A Funny Thing Happened on the Way to the Forum,” with music and lyrics by Stephen Sondheim and book by Burt Shevelove and Larry Gelbart, until Sunday, June 30. The streets of ancient Rome run amok with a flood of laughter as Pseudolus devises a detailed scheme to obtain his goal of independence. Complications swirl as Hero’s father Senex (Dirk Lumbard) mistakes Philia for his new maid, Marcus Lycus (Tim Murray) the keeper of the bawdy house, fears for his life if he doesn’t honor the Captain’s contract and an old man Erronius (Brandon Beaver) continues his search for his long lost son and daughter, stolen in infancy by pirates. Disguises and mistaken identities abound as well as finely conceived lies, plagues and potions, soothsayers and signet rings, undead corpses and general mayhem. 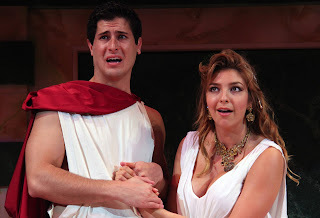 Hysteria erupts when Hysterium, (Bradford Scobie) the chief slave of the house of Senex, is reluctantly pulled into the madcap machinations by Pseudolus and Senex’s ogre of a wife Domina (Ariana Shore) unexpectedly returns home because of her suspicious nature. The three Proteans (Conor Donnally, Coles Prince and Chester Martin) act like a trio of Stooges and Madelyn Shaffer, Annie Wallace, Claire Saunders, Alanna Saunders, Briana Maia and James Jelkin provide a bevy of beauty as the courtesans of the house of Marcus Lycus. Great music like “Comedy Tonight,” “Lovely,” “Everybody Ought to Have a Maid,” “I’m Calm” and “Impossible” propel the action in the desired direction. Vincent J. Cardinal directs and choreographs this fun romp on a colorful set conceived by Michael Anania, with a rainbow hue of costumes by Lisa Loen. For tickets ($10-45), call the Connecticut Repertory Theatre, Jorgensen Theatre on the campus of the University of Connecticut at 860-486-2113 or online at www.crt.uconn.edu. 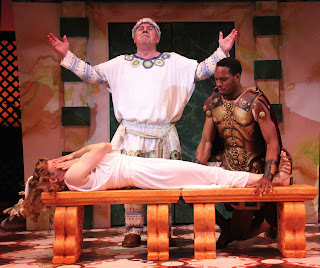 Performances are Tuesday at 7:30 p.m., Wednesday at 7:30 p.m., Thursday at 7:30 p.m., Friday at 8 p.m., Saturday at 2 p.m. and 8 p.m. and Sunday at 2 p.m..
Watch Pseudolus, the master of trickery, connive his way to a status of free man by manipulation and clever and comic scheming. You’ll laugh all the way to the forum and back home again. Wave the American flag for patriotism and mom's apple pie as "The Andrews Brothers" come to a USO near you. Yes, that's the Andrews Brothers and it's not a misprint. The Connecticut Cabaret Theatre in Berlin is harkening back to World War II, specifically to the South Pacific in 1945 when entertaining the troops was a priority. Weekends until Saturday, July 27, you're invited to cheer on this red, white and blue sparkler of a musical, written by Roger Bean, directed and produced by Kris McMurray and musically directed by Pawel Jura. Kaite Corda's Peggy Jones is stuffed with enthusiasm and good spirits in her quest to make the soldiers on base feel appreciated. After all, they're shipping out tomorrow and she feels responsible for making their last evening a memorable one. When her back-up singers fail to arrive, she reluctantly accepts the help of a trio of stagehands who are star struck and want to perform, even though their prior experience wouldn't fill a bucket of soap suds. With skill and finesse, Peggy teaches her willing pupils the words and dance routines to such numbers as "Rosie the Riveter," "Breathless," "Mairzy Doats" and "Ac-Cent-Tchu-Ate the Positive." They go over the top with tunes with a distinctly Hawaiian flavor, from "Hawaiian War Chant" to "Hula Ba Luau" to "Beat Me Daddy, Eight to the Bar." Believe me, those little grass skirts really sway. When the headline act of The Andrews Sisters bails on Peggy, due to a case of the chicken pox, she chooses the only reasonable option. To not disappoint the military, she takes Erik Bloomquist's Patrick and makes him Patty, Kevin Ladd's Max morphs into Maxine and she encourages Seth Price's Lawrence into becoming Laverne. As "gals," these guys deliver such gems as "Boogie Woogie Bugle Boy," "Shoo-Shoo Baby," "Stuff Like That There" and "Don't Sit Under the Apple Tree." They hit a home run when they "enlist" two guys from the audience to belt out "Six Jerks in a Jeep," complete with sound effects. 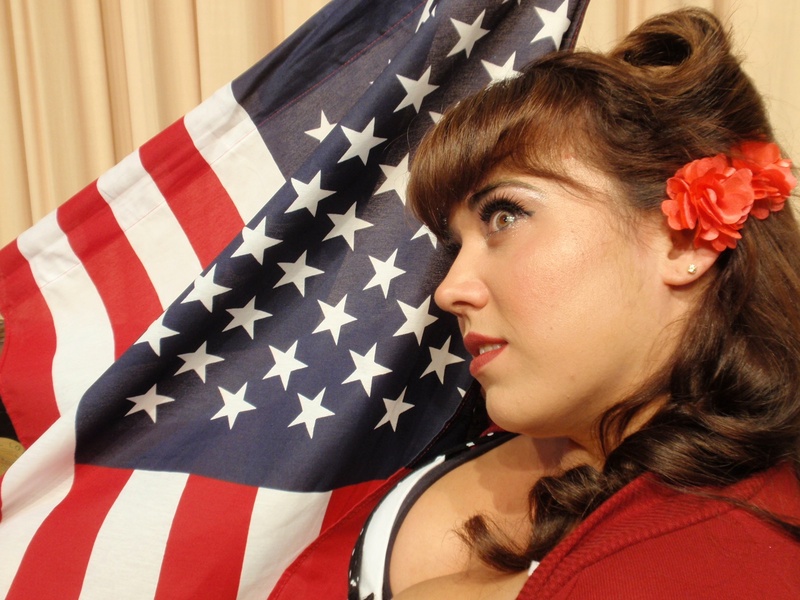 As a morale booster and a salute to flag wavers everywhere, the show will get you right in the spirit for the Fourth of July! For tickets ($30), call the Connecticut Cabaret Theatre, 31-33 Webster Square Road, Berlin at 860-829-1248 or online at www.ctcabaret.com. Shows are Friday and Saturday at 8 p.m., with doors opening at 7:15 p.m. Bring your own goodies to enjoy at your table or purchase desserts at the canteen on site. This is Connecticut Cabaret's 16th season providing local talent with a welcoming stage presence. Let Peggy, Patrick, Max and Larry entertain you and the troops in this firecracker of a show. LIFE IS NOT ALWAYS A "CABARET"
Once you enter the doors of Berlin's den of iniquity, the Kit Kat Klub, you leave your troubles outside and party non-stop. Dancing as fast as you can and drinking to excess, with inhibitions forgotten, your concerns will soon evaporate in a haze of sexual gratification. With the superb encouragement of the Master of Ceremonies, you are welcomed in to a strange and intoxicating atmosphere where the real world and its problems vanish completely. The place is Berlin, Germany and the time is 1929 as Hitler wields a terrifying power over his Nazi party. 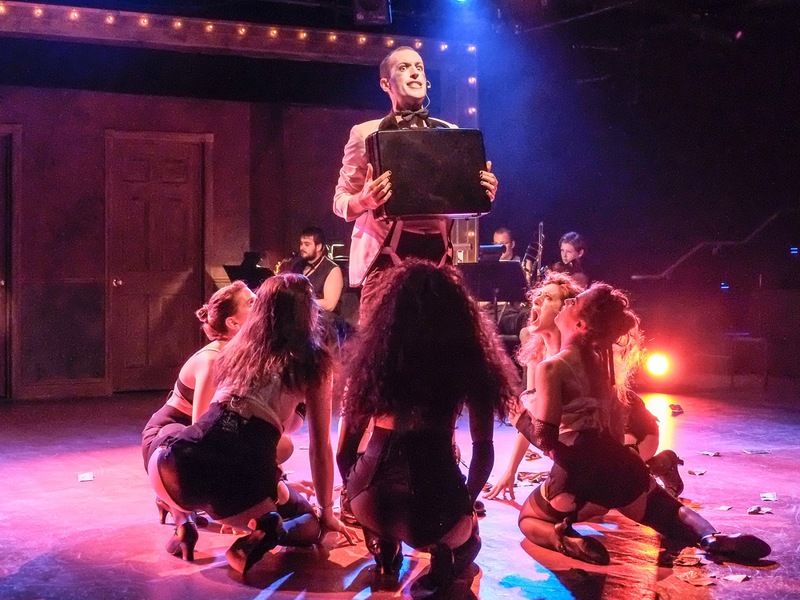 Let Brendan Norton as the ingratiating emcee issue you an invitation to join the "Cabaret," courtesy of West Hartford's Playhouse on Park until Sunday, July 21 for an outstanding production that captures the decadence of the era in astonishing accuracy. Pre-World War II Germany has been transformed by John Masteroff's book, John Kander's music and Fred Ebb's lyrics into a thoroughly depraved menagerie of sexual pleasures wrapped in a sensual dance. The Toast of Mayfair, Fraulein Sally Bowles, is brought to vivacious life by Erin Lindsey Krom, as the headline act of the Kit Kat Klub. Just as her luck seems to be turning badly, Sally latches on to Clifford Bradshaw, a new arrival in the city, a struggling author from America eager to write a novel that captures the times. Jake Loewenthal's Cliff is an innocent, who is quickly corrupted by Sally and by a prominent citizen Ernst Ludwig (Conor Hamill) who conveniently conceals his membership in the Nazi party. While the signs of impending doom are evident to anyone brave enough to look, Sally refuses to part with her rose colored glasses. The dangers to people of the Jewish faith like Herr Schultz (Damian Buzzerio) and his intended bride Fraulein Schneider (Kathleen Huber) are soon too obvious to ignore. Even Fraulein Kost (Ashley Ford) finds her profession as prostitute impacted by the difficult storm brewing. Sean Harris skillfully and imaginatively directs this musical, that is packed with a stirring array of outstanding numbers. For tickets ($22.50-32.50), call Playhouse on Park, 244 Park Road, West Hartford at 860- 523-5900 ex. 10 or online at www.playhouseonpark.org. Performances are Wednesday and Thursday at 7:30 p.m., Friday and Saturday at 8 p.m. and Sunday at 2 p.m. Scrap off the glitz, glamor and glitter on the surface of the Kit Kat Klub and discover that all is not beautiful, no matter how convincingly the emcee tries to make you believe it is so. If love is truly blind, then Amy Fisher should employ the services of a seeing eye dog. Her affection for her suitor Aubrey Piper defies reason. The family Fisher, sans Amy, sees Aubrey for what he is: a brash, narcissistic, self-centered, pompous and pretentious fellow. His greatest skill is his ability to lie, to himself and to the world. While Amy swallows his fabrications as gospel truths, her mother Josie has no rose colored glasses in sight. She will tolerate none of his prevarications and she uses the sword of Zorro to slice him down to size. 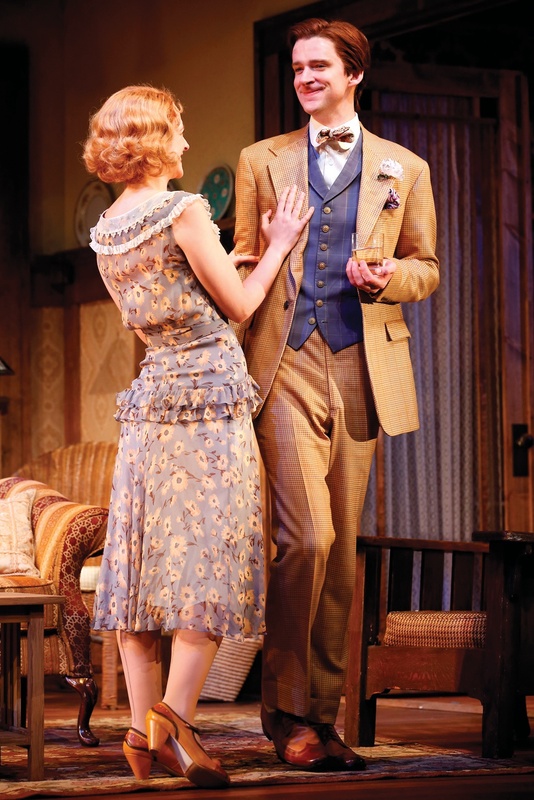 To become intimately acquainted with the gentleman in question, with all his peculiarities and peccadilloes, waltz over to the Westport Country Playhouse until Saturday, June 29 for a peek at George Kelly's 1924 gift to American comedy "The Show-Off." Will Rogers embodies the role of Aubrey Piper with a skillful gift of gab that is delightfully annoying to witness. His charms would be rejected by a snake oil salesman as too repugnant to be believed, but he has one faithful admirer in Clea Alsip's Amy. On the other side of this fan club is the opposition headed by Amy's stalwart mother Josie, formidable in the hands of Jayne Houdyshell. With her are her daughter Clara, a sensible Mia Barron and her generous husband, a forgiving Robert Eli, Josie's husband, a hard working Adam Lefevre and her son Joe, an inventive Karl Baker Olson. With his straw hat firmly anchored and a cane he twirls skillfully, Aubrey is a showman who adores the sound of his own impressive voice. As if his words were not enough to put you off his game, Aubrey creates a series of actions that defy believability, chalking up debits on his scorecard. Yet in the end, might not Aubrey get the last, best laugh? Nicholas Martin directs this three ring circus with a deft hand, on a detailed dining room set designed by Alexander Dodge. For tickets ($30 and up), call Westport Country Playhouse, 25 Powers Court, Westport, off route 1, at 203-227-4177 or 888-927-7529 or online at www.westportplayhouse.org. Performances are Tuesday at 8 p.m., Wednesday at 2 p.m. and 8 p.m., Thursday and Friday at 8 p.m., Saturday at 3 p.m. and 8 p.m. and Sunday at 3 p.m.
Let Aubrey Piper ply his boastful banter with a thick paint brush stroke until the moment when his masterpiece of artwork is finally unveiled. Behold this Picasso at work. Imagine for a moment the sensational singing spectacular that would have occurred if Barbra Streisand and Frank Sinatra ever performed in concert together, on the same stage , on the same night. It never happened. But if it did, it might be billed as "The Concert That Never Was!" and the Bridgeport Downtown Cabaret is making it happen. Hang on to your bobby socks as Sharon Owens as the magical Barbra and Sebastian Anzaldo as the inimitable Frank take the stage for three performances only, Friday, June 28 at 7:30 p.m. and Saturday, June 29 at 5 p.m. and 8 p.m. These artists will pay tribute and give homage with all the memorable music that highlights their careers. Sharon Owens has a legion of fans since winning as Barbra on the television show "Performing As..." while Sebastian Anzaldo learned early on in life that he has a unique ability to "do Frank." With his band "Wild Life," he has earned the title of being one of the best "Sinatra interpreters" in the country. Called vintage Las Vegas when they put on their star power show, this dynamic duo will croon all the tunes they pushed to the top of the Hit Parade. Among the songs, you may hear might be "The Way We Were," "Smile," "You Don't Bring Me Flowers," "I Finally Found Someone," "Evergreen," "Being Alive," "Women in Love," "Papa, Can You Hear Me," "Memory," "Don't Rain on My Parade," "My Way," "Fly Me to the Moon," "New York, New York," "The Way You Look Tonight," "In the Wee Small Hours of the Morning," "Come Fly with Me." "That's Life," "The Lady is a Tramp," "They Can't Take that Away From Me" and "I've Got You Under My Skin." Whatever the tunes, you know they will be great listening enjoyment. Sharon Owens has been called "the real deal" and "a dead ringer," even with the distinctive nose to go with the incredible voice. 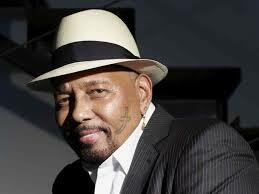 Sebastian Anzaldo has been touted as the "essence of 'Ol Blue Eyes," a tribute artist without parallel. For tickets ($39-47), call the Downtown Cabaret, 263 Golden Hill Street, Bridgeport at 203-576-1636 or online at www.downtowncabaret.org. Ironically, this might be a great time to investigate a new play by Jonathan Tolins entitled "Buyer and Cellar," about a mythical struggling actor hired to shepherd visitors around the mall in the basement of Barbra Streisand's home in Malibu. It's stuffed with all of her famous collections, from dolls to costumes to antiques. The street of shops is real, the actor/employee is not. It opens this week at New York's Barrow Street Theater starring Michael Urie. Let Sharon Owens as Barbra and Sebastian Anzaldo as Frank perform their Las Vegas style show that pays tribute to two of the biggest and brightest stars on the Hollywood firmament, Streisand and Sinatra. Picture swaying palm trees, soft island breezes, coral dotted sands, lush green mountains, bouquets of tropical blossoms and endless Pacific ocean waves and you will be set to experience the enchanting production of "South Pacific" until Saturday, July 13, courtesy of Summer Theatre of New Canaan. This classic musical is a splendid way to spend a summer evening under the stars. 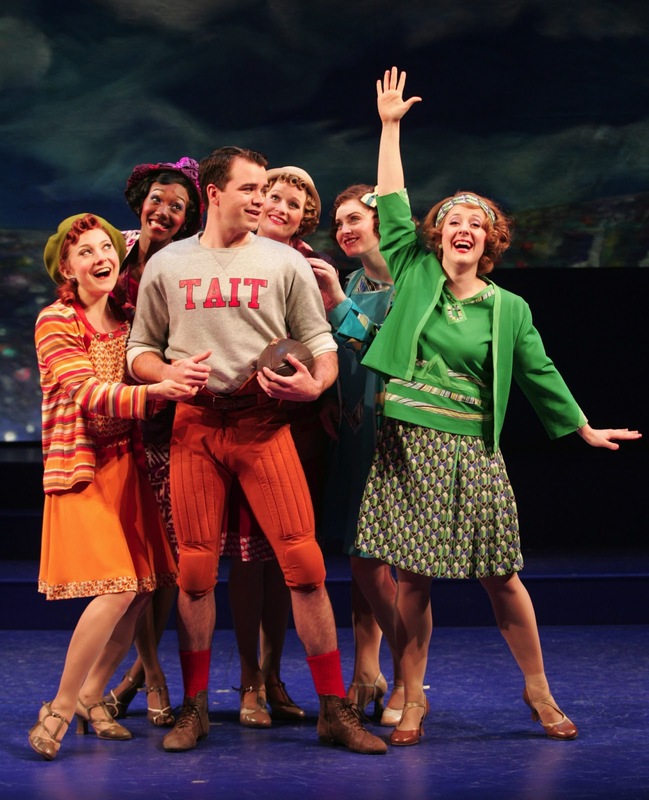 In 1949, three short stories of James Michener, taken from his Pulitzer prize-winning novel “Tales of the South Pacific,” were transformed into a musical called by many the finest ever composed for the stage. Two serious stories about couples whose love is threatened by the war and by their own prejudices were balanced by a third story about Luther Billis, a womanizing but lovable sailor, to provide comic relief. The result was “South Pacific,” a royal treat by Rodgers and Hammerstein, with book by Hammerstein and Joshua Logan that has been revised and enhanced six decades later with its themes of racial prejudice strengthened and sensitized for today’s audiences. While the play deals with World War II and the conflict in the Pacific against the Japanese as well as the reactions in the United States, some of the production’s lighter moments are provided by Luther Billis as an entrepreneurial sort who finds himself in a new world and tries to make the best of it, even if it involves bending the rules. He epitomizes the great American ethic of inventiveness based on necessity, providing services to relieve his men’s boredom and loneliness. Believing in the greater good, Luther is ready and able to meet his sailors’s needs, be it for a laundry service, island trinkets or female companionship. Nick Reynolds brings this role to comic life. Also outstanding in her part is Janelle Robinson as Bloody Mary, who like Luther is trying to earn a good living by being enterprising as well as finding a suitable husband for her daughter Liat. She focuses on Joe Cable as being the right man. Christian Camporin and Dillon Mims share the role of Emile's son Jerome while Cristina I. Ferreira and Neha Lyer both play Ngana. Allegra Libonati directs a large and talented cast in this wonderful production. For tickets ($37 and up), call Summer Theatre of New Canaan at 203-966-4634 or online at boxoffice@stonc.org. Performances are Thursday, Friday and Saturday at 8 p.m. and Sunday at 4 p.m. at Waveny Park, 11 Farm Road, New Canaan at the high school entrance. The summer schedule also includes "Grease," "The Little Mermaid," "The Cat in the Hat" and "Pinkalicious The Musical." Start off your summer on a high note, beautifully sung, by attending a performance of "South Pacific," a universal favorite in the world of musical theater. What do Elton John, a coal miners' strike, a set of boxing gloves, a pair of ballet shoes and a motherless eleven year old boy from County Durham, England have in common? 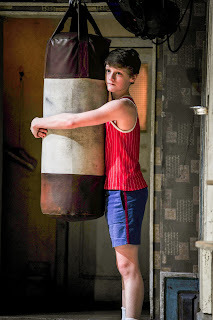 They are all the main ingredients in the exciting musical sensation "Billy Elliot the Musical" that pirouettes into Hartford's Bushnell Center for the Performing Arts from Tuesday, June 18 to Sunday, June 23. Written by Lee Hall with music by Elton John, "Billy Elliot The Musical" is based on the 2000 film and has won ten Tony Awards and ten Drama Desk Awards, including Best Musical in each. It is set in1984 just as a coal miners' strike begins in the United Kingdom, an economic disaster blamed on Prime Minister Margaret Thatcher. A young Billy Elliot has just completed a boxing lesson but upon seeing a ballet class, led by Mrs. Wilkinson, is fascinated by the graceful dance. Despite being the only boy present, he is encouraged by the teacher to find his form and is quickly drawn in the beauty of the art. Only his grandmother, who once long ago hoped to dance herself, knows his secret. His father Jackie and brother Tony are caught up in the violent conflict of the strike and clash with the police while Billy finds a special peace through ballet. Mrs. Wilkinson recognizes his natural talents and fosters the hope that Billy audition for the prestigious Royal Ballet School. An incredible score includes such stirring numbers as "The Stars Look Down," "Shine," "Expressing Yourself," "Born to Boogie," Swan Lake" and "Electricity." How Billy deals with his passion and his family's disapproval, against the backdrop of the virullent miners' strike, makes a moving and dramatic production. For tickets ($20-95), call the Bushnell, 166 Capitol Avenue, Hartford at 860-987-5900 or online at www.bushnell.org. Performances are Tuesday, Wednesday and Thursday at 7:30 p.m., Friday at 8 p.m., Saturday at 2 p.m. and 8 p.m. and Sunday at 1 p.m. and 6:30 p.m. Composer Elton John has commented on his website his reaction to seeing the film at the Cannes Film Festival back in the year 2000. "My response to the film was profound. The story of young Billy, a gifted working class boy with artistic ambitions seemingly beyond his reach, had so many parallels to my own childhood...It was the unfailing support of my mother and grandmother that helped me achieve my ambitions. With their encouragement and a scholarship to the Royal Academy of Music,I started building a foundation that has allowed me to rejoice in a musical career that has exceeded my wildest dreams. To see Billy literally dance his way out of the bleak and cruel environment created by the British mining industry's demise was inspirational." Follow a young Billy Elliot and his blue collar family discover how a passion for ballet changes and inspires an entire community and helps them all soar upward. HIP. HIP, HOORAY FOR "GOOD NEWS!" Give a cheer for Tait College's football team and its hunky captain and all-around wunderkind Tom Marlowe who knows how to put his players on the winning line for touchdowns. The big game against rival Colton is in the offing and the path down the gridiron to victory rests solely on Tom's well padded shoulders. If Tom can't play, because he is failing an astronomy course, all hopes of success will be sidelined and turn good news into bad. Get caught up in the routing section on the bleachers as the cheerleaders shake their pom poms for this Roaring Twenties musical "Good News!" by Ray Henderson, B. G. DeSylva and Lew Brown for music and lyrics and Laurence Schwab, Frank Mandel and B. G. DeSylva for book. 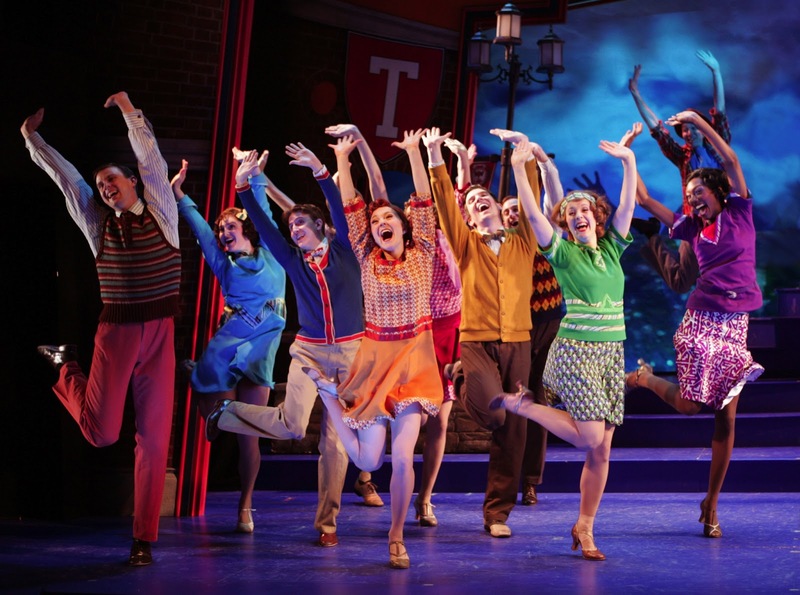 Bring your enthusiasic shouts of encouragement to the Goodspeed Musicals by Saturday, June 22 for some high-spirited and high kicking fun. Ross Lekites is the dedicated young hero Tom who is stopped in his tracks by his failing grade. To the rescue comes the studious, perky and secretly in love tutor Connie Lane, captured by a sweet Chelsea Morgan Stock. Together they work diligently to make sure Tom is eligible to lead his team across the field. Tom passes the test only to do everything in his power to lose. What happened to our fearless leader? Why is he suddenly letting Colton forge ahead? His almost fiancee Pat, a determined and focused Lindsay O'Neil, is dismayed and his coach Bill, a blustery Mark Zimmerman and assistant coach Pooch, the amicable Max Perlman, are mystified. Meanwhile the playing field is crowded as Tessa Faye's fiery Babe is running away from the clutches of her ex-, Beef, an old-fashioned guy Myles J. McHale, and toward her new conquest Bobby, a happy-to-be on the benches Barry Shafrin. A long ago romance between the coach and the head of the astronomy department, Professor Kenyon, a stars-in-her-eyes Beth Glover, provides another amorous spin in the heavens. "Good News! " is packed with songs that you'll recognize and enjoy, like "Lucky in Love," "You're the Cream in My Coffee," "Life Is Just a Bowl of Cherries" and "You Belong to Me." Vince Pesce is responsible for directing and choreographing this sunny-side-up musical, stuffed wtih great numbers like the whirling dervishes dance routine of "The Varsity Drag." For tickets ($27 and up), call Goodspeed Musicals, 6 Main Street, East Haddam at 860-873-8668 or online at www.goodspeed.org. Performances are Wednesday at 2 p.m. and 7:30 p.m., Thursday at 7:30 p.m. (and selected 2 p.m.), Friday at 8 p.m., Saturday at 3 p.m. and 8 p.m. and Sunday at 2 p.m. (and selected 6:30 p.m.). Wave your banners high, swing your pom poms with gusto and cheer on the Tait varsity football team as they give the old college try. Rah! Rah! Sis Boom Bah! 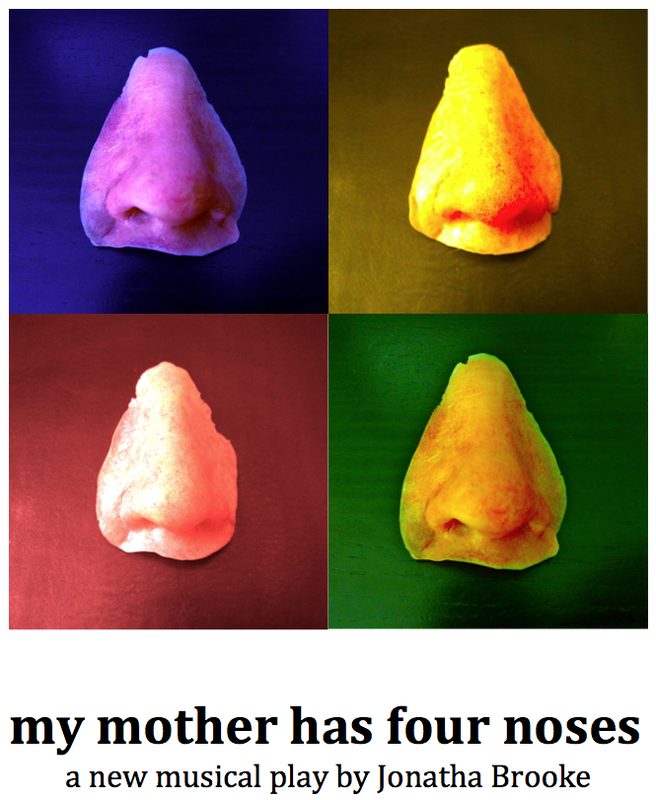 If you're not intrigued and slightly mystified by the title "My Mother Has Four Noses," then you may not be blessed with a sense of curiosity and adventure that singer/songwriter Jonatha Brooke was endowed with at birth. The debut performance of her engaging new work, an album, a book and a play, will be launched on Saturday, June 29 at 7 p.m. at Torrington's lovely Warner Theatre, in the Nancy Marine Studio. Billed as a comedy and a tragedy , but mostly a love story, it tells the emotionally moving story of a mother and a daughter and their journey together through life and death. Had she lived Jonatha's mom would have been 81 this year. 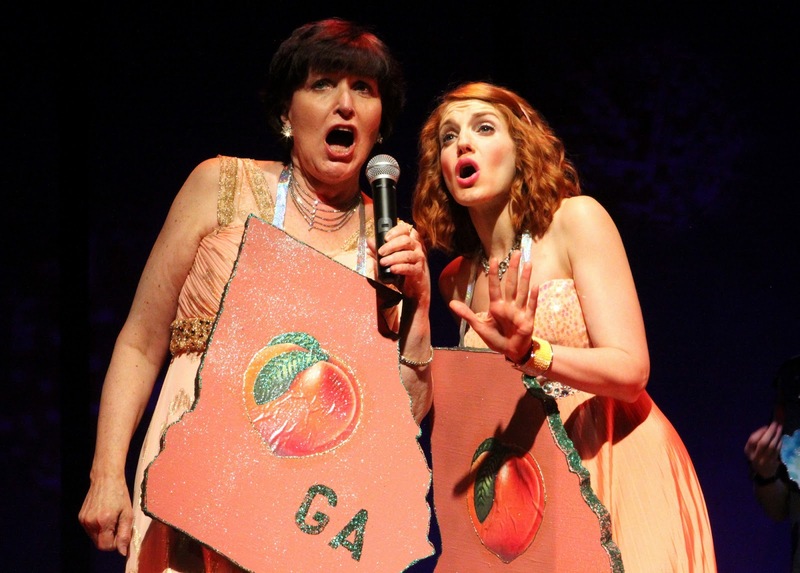 Her last two years she had Alzheimer's disease and Jonatha moved her to New York to care for her, weaving her funny stories and songs into the show piece she will perform at the Warner. Their adventure together beams with love and caring, a musical journey about holding on and letting go. As a performer, Jonatha had always thanked her mom on stage for being the source of all her good material. In "My Mother Has Four Noses," her mom is literally on stage with her, sharing her insights and humor. An every day occurrence was mom calling out "Boolie (her nickname). That's good! Are you getting this down? We should make a play out of it!!" Call the Warner Theatre, 82 Main Street, Torrington at 860-489-7180 or online at www.warnertheatre.org for tickets ($30). A special VIP reception will be held for $127.50 with the actress. In addition, go to Jonatha's website www.pledgemusic.com/projects/jonathabrooke. A portion of all purchases of special items will be donated to Cure Alzheimer's and help Jonatha achieve her musical goals. 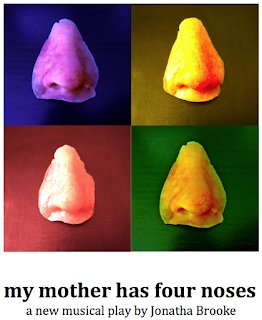 "My Mother Has Four Noses" is not a Cubist painting by Picasso. Come and let Jonatha Brooke reveal the fascinating portrait of a mother she loved and whose memory she is celebrating. 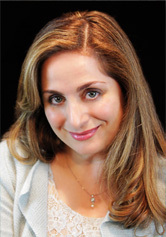 A taste of exotic ancient Persia, both literally and figuratively, is on the menu on Monday, July 1 at 7 p.m. when the Mark Twain House and Museum rolls out a multi-colored Oriental carpet to welcome Tessa Afshar, an award-winning Connecticut author. The event will launch Afshar's new book "Harvest of Gold,"
a prequel to her award-winning "Harvest of Rubies," set in ancient Persia and telling the story of Sarah, a young Jewish scribe, who has recently been wed in an arranged marriage to Darius, a lord of the court. 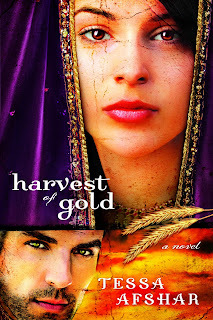 How will she secure his love and also help to rebuild the sacred walls of the city of Jerusalem? Tessa Afshar spent the first fourteen years of her life in her native Iran, a member of a non-practicing Muslim family. Moving to England, she attended boarding school and gained a love for reading. Subsequently, she traveled to America and earned a Master of Divinity from Yale University and converted to Christianity. In her intriguing love story, she will take her readers to another world, weaving together historical and Biblical truths, helping her heroine Sarah discover her worthiness as a human being. The evening will include a reading from "Harvest of Gold" as well as a Persian/English excerpt from Mark Twain's "Tom Sawyer." Also on display will be the museum's "mosque lamp" which had hung in the foyer of the Mark Twain House before being damaged. The book launch is intended to raise funds for the lamp's costly repairs. Author Lucinda Secrest McDowell will interview Ms. Afshar and moderate a question and answer session, while the museum's chief curator, Patti Phillippon, will discuss the mosque lamp. This Persian Tea/Reception will be held at the Mark Twain House and Museum, 351 Farmington Avenue, Hartford. Enter an enticingly different world and enjoy Persian tea and savory delights with Tessa Afshar presiding over the samovar. The world is coming to New Haven's doorstep when the International Festival of Arts and Ideas comes to town this Saturday for two full weeks, June 15-29. Established in 1996, the festival is guaranteed to have something exciting and wonderful for you whether you're eight or eighty, or anywhere younger or older. Over 75 countries will be represented in a sparkling diversity of activities that encompass dance, theater, music, lectures, food, walking and bike tours, exhibitions, children and adult film festivals, a pizza fest and puppet making. New Haven will be abuzz with all things entertainment! Go to www.artidea.org/festival for all the exciting details. Many events, like the Aaron Neville soul and rhythm and blues concert on the New Haven Green from 6:30-9:30 p.m. opening night, are free and open to the public. Bring a chair or blanket and relax musically under the stars. If you were born and bred in Connecticut or transplanted yourself here from other regions of the country or the world, you might take umbrage to Connecticut being labeled boring and beige. Truth to tell, Connecticut is not a square state like Kansas or North Dakota but neither does it have boasting rights to the "endowments" of a romantic nature like Massachusetts or Florida. 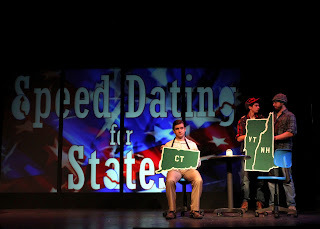 Thanks to playwright Mike Reiss, who proudly claims Bristol as his hometown, a spotlight is being focused on The Constitution State in his delightful new comedy "I'm Connecticut" at the Ivoryton Playhouse until Sunday, June 23. 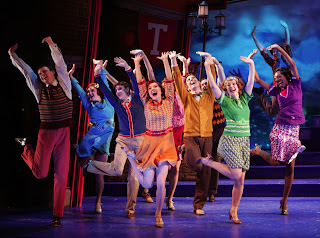 The show had its world premiere at the University of Connecticut in December 2011 thanks to the Connecticut Repertory Theatre. "I'm Connecticut" is the saga of a nice guy named Marc, of the Jewish persuasion, who blames his lack of success dating squarely on Connecticut's head. Clearly he is personality deprived because everything and everyone in the Nutmeg State is dull. Don't take it personally, like Samuel Clemens a.k.a Mark Twain does, when he suddenly appears on stage to challenge Marc's assumptions. After a fiasco speed dating session at a trendy New York watering hole, Marc, an eager-to-please Harris Doran, chances to meet Diane, a peachy Georgia girl captured by Gwen Hollander. Their budding relationship seems to be a dashing slalom of a ski run until it slams head first into a snow bank. Marc is caught in an avalanche of a lie about his grandfather, a dapper Jerry Adler, and he can't extricate his head or his foot out of the white stuff. Mike Reiss is one genuinely funny guy, as his prior writing work with "the Simpsons" in television and movies as well as such productions as "Ice Age," "Dawn of the Dinosaurs," "Horton Hears a Who!," "ALF," "It's the Gerry Shandling Show," and "The Tonight Show with Johnny Carson" would attest. Here in "I'm Connecticut," witty dialogue is married to great visual effects. The love story plot line is helped along with the aid of a trusty ski patrol headed by Marc's chief buddy at work Kyle (Gino Costabile), the manager of the speed dating site (Bill Mootos), Diane's mom Polly (Rebecca Hoodwin) and Mark Twain (Norman Rutty). Assorted potential dates and I-95 work personnel are played by Dene Hill, Elizabeth Talbot, Torie Chiappa, Rebecca R. Maddy, Benjamin M. Alger, Michael Hotkowski and Casey McKeon. Jacqueline Hubbard directs this charming tale of love on two generational levels that should have you laughing out loud, long and heartily. For tickets ($40, seniors $35, students $20, children $15), call Ivoryton Playhouse, 103 Main Street, Ivoryton at 860-767-7318 or online at www.ivorytonplayhouse.org. Performances are Wednesday and Thursday at 7:30 p.m., Friday and Saturday at 8 p.m., with matinees Wednesday and Sunday at 2 p.m.
Be proud of Connecticut, the land of Steady Habits and Nutmegs, the Insurance Capitol of the World, thanks to Hartford, and now the location of one uniquely happy comedy that pokes fun at ourselves and tickles our funny bones. A wonderful green maze, a labyrinth with foot bridges and suggestions of topiaries, is the focal point for the antics, drunken and sober, of Sir Toby Belch and his disreputable comrades. Frequently inebriated and deeply in his cups, Sir Toby resides in the household of his niece, the fair Olivia, who is nursing the double loss of her brother and her father and, therefore, deep in mourning and melancholy. 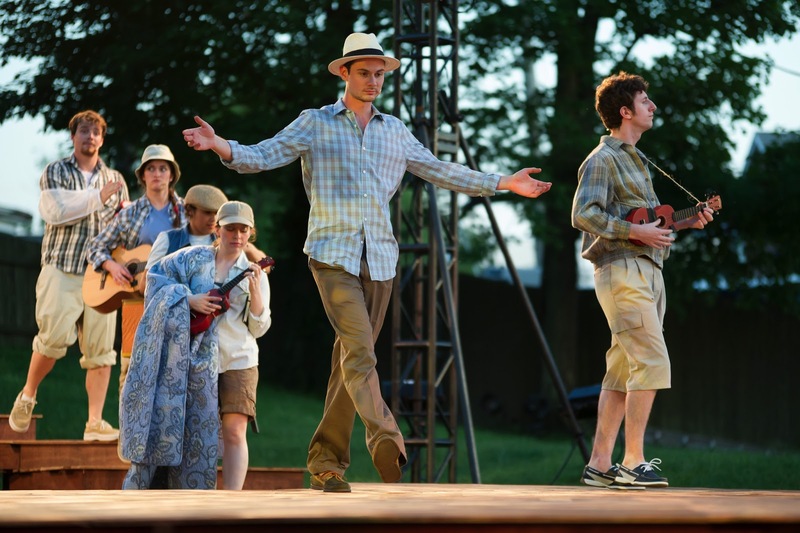 To enter this convoluted residence, heigh ho over to the Hartford Stage by Sunday, June 16 for a visit with the bard in his delightful comedy "Twelfth Night." After a storm at sea, the twins Viola and Sebastian each independently reach the land of Illyria, both beieving the other has drowned. To preserve her reputation, Viola assumes the garb of a male servant Cesario and seeks sanctuary in the court of Count Orsino. As Cesario, she is soon sent to the lovely Olivia to woo her on behalf of the Count. Her words of persuasion are so successful that Olivia throws off her dark weeds and, while dashing the hopes of the Count and of Sir Toby's ally Sir Andrew, promptly gives her unwitting heart to Cesario. to pierce the heart of Olivia, the agreeable Stacey Yen. Meanwhile the Count, a determined Lea Coco, is growing alarmed by his evolving inappropriate feelings for Cesario. Romping mischievously around the maze are the merry miscreants Sir Toby (Michael Spencer-Davis), Sir Andrew (Adam Green), Olivia's lady's maid Maria (Jennifer Regan), Fabian (Gregor Paslawsky) and Feste the Fool (Che Ayende). Led by Maria, they concoct a plot to cuckold Olivia's stalwart servant Malvolio, an easily manipulated Bruce Turk. They leave Malvolio a letter purportedly from Olivia professing her love and Malvolio quickly assumes all the dress and attitude she claims to adore. 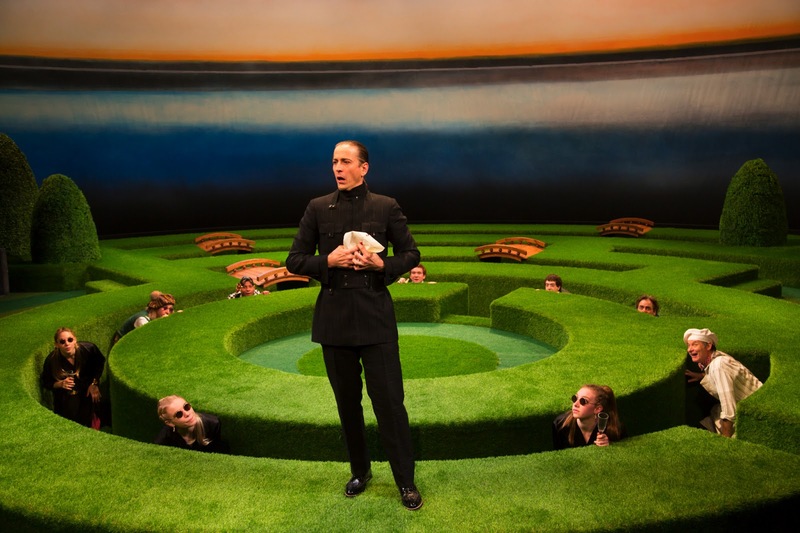 That scene is beautifully staged by director Darko Tresnjak on the magical maze created by Alexander Dodge and is the highlight of a decidedly delightful Shakespearian comedy. Linda Cho's costumes add a special sparkle. 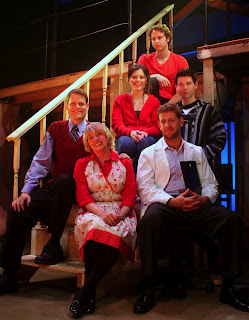 For tickets ($26.50 and up), call the Hartford Stage, 50 Church Stret, Hartford at 860-527-5151 or online at www.hartfordstage.org. Performances are Tuesday, Wednesday and Thursday at 7:30 p.m., Friday and Saturday at 8 p.m., with matinees Sunday and select Wednesdays and Saturdays at 2 p.m.
Cupid's arrows fly hither and yon and land in the most unexpected and inappropriate places, with mistaken identity the frequent comic culprit in the hilarious proceedings. Imagine the weight of wearing a crown and being the designated head of state, even if it is ceremonial, for more than six decades. Queen Elizabeth II of England has that prestigious distinction. One of her tasks as Queen has been a weekly meeting with whomever occupies the domain at number 10 Downing Street, the designated Prime Minister. Those closed door sessions are sacrosanct and no one is to utter a word outside the inner sanctum. What if you could be privy to those private discussions? What might you learn that would be revealing, disquieting, remarkable, sensational? You are invited to witness Helen Mirren as Queen Elizabeth II in a broadcast live from London as part of National Theatre Live HD on Thursday, June 13 at 2 p.m. and encore at 7 p.m. at the Regina Quick Center on the campus of Fairfield University in Fairfield. For 180 minutes you will be spellbound as the Queen meets in "The Audience" with a succession of a dozen Prime Ministers, in a room at Buckingham Palace. From Churchill to Cameron, these private door sessions have noted the Queen maturing from new bride to dowager, as the conversationson government matters ranged from "a sounding board to a confessional." For tickets ($25, seniors $20, students $15), call the Quick Center box office at 877-ARTS-396 or online at www.quickcenter.com. 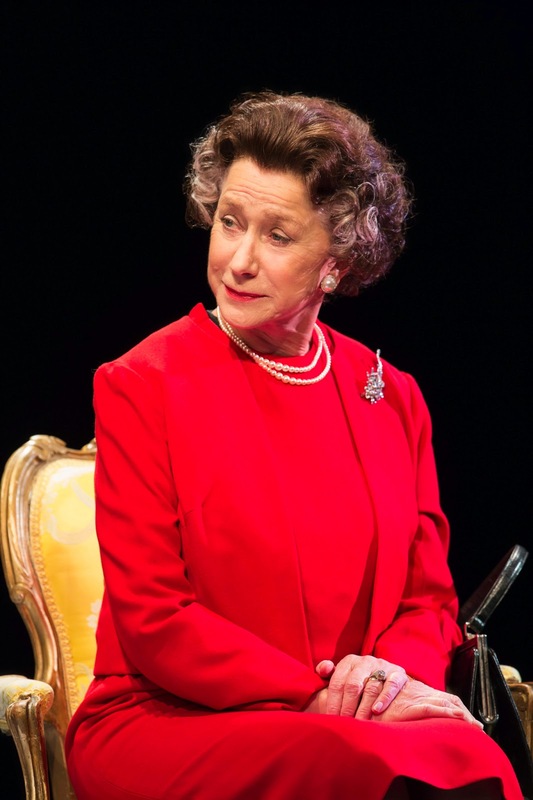 Let Helen Mirren as Queen Elizabeth II provide you with a royal reception. What do a giant cache of keys, a welcome mat, a sprig of spring flowers, a box of sprinkle topped donuts, a golf club, a dance lesson, a chocolate candy heart and a Spiderman tie all have in common? They are the prized possessions of "The Boys Next Door," the residents of a group home who are all mentally challenged, the creations of playwright Tom Griffin. Weekends until June 15, the Connecticut Cabaret Theatre in Berlin will open its doors and its heart to let you meet the mostly sweet, slightly confused, always well-meaning guys who live together in varying degrees of companionship. An incredibly patient counselor and overseer Jack, played sensitively by Chris Brooks, looks after his charges with affection. He keeps a tight rein on Arnold, a nervous Nelly in the capable hands of Joe Autuoro, who exhibits obsessive-compulsive tendencies, especially at the local supermarket. Jack also encourages Lucien, an eager-to-please and learn Russel Fish, who is the proud possessor of a library card that he uses often and well. For Barry, an emphatic James J. Moran, giving golf lessons for $1.73 is his pride and source of income, charging only a quarter for a little advice on the links. When Barry's dad (Gene Coppa) comes to visit after a nine year absence, the damaged chocolate heart he brings his son is indicative of their tenuous relationship. 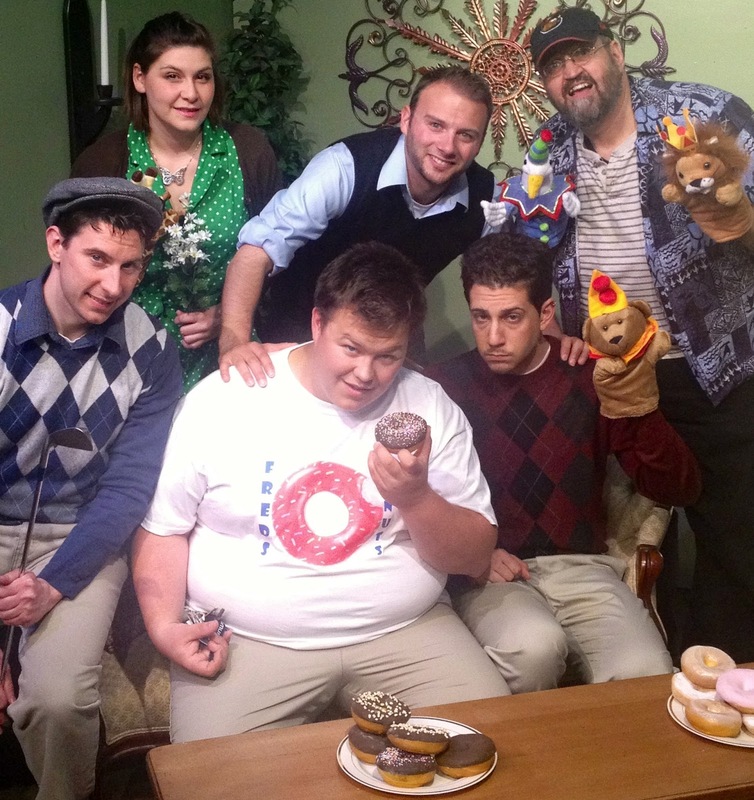 Last, but certainly not least, is Norman, the keeper of the keys and the eater of the donuts, played by a gifted Bobby Schultz, who faces the ultimate dilemma when his new girlfriend, a caring and supportive Carleigh Schultz, covets Norman's prized keys as a sign of his affection. Jack's boys are a challenge, from Arnold who threatens to move to Russia when he encounters a problem to Lucien who has to attend a Senate hearing to prove he is disabled. Karen Buck takes on multiple roles as neighbor and girlfriend. 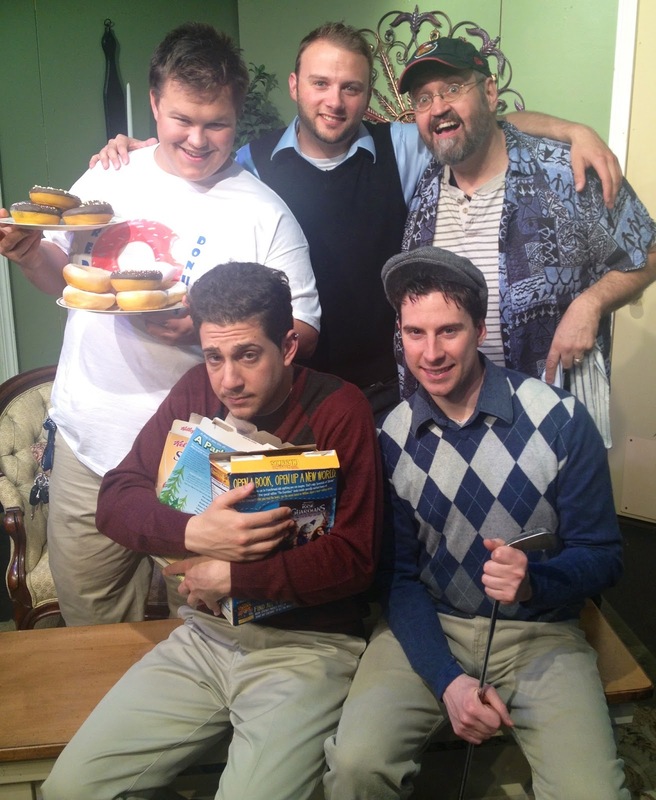 Under Kris McMurray's devoted direction, a visit to "The Boys Next Door" is both bittersweet and endearing. For tickets ($30), call the Connecticut Cabaret Theatre, 31-33 Webster Square Road, Berlin at 860-829-1248 or online at www.ctcabaret.com Performances are Friday and Saturday at 8 p.m., with doors opening at 7:15 p.m. Remember to bring snacks to share at your table or plan to buy delicious desserts and drinks at the concession stand. A special 25 minute musical entertainment, one night only, will usher in the next show "The Andrews Brothers" that opens on Friday, June 21. The show will run through July 27, weekends. Think about signing up for acting classes at the new studio right next door. Be advised to bring your own donut treats to eat while watching these fellows at work and play. You'll laugh at their escapades while applauding their courage and ingenuity in tackling the problems of life. Connecticut theater is not without its red carpet event. The Connecticut Critics Circle, a group that includes many of the reviewers who write, blog and have radio shows on our outstanding theater world, will be honoring the best of the best this Monday, June 10 at 6:30 p.m. at New Haven's Long Wharf Theatre, 222 Sargent Drive. This event is free and open to the public. This year's nominations for outstanding production of a play include: “Almost, Maine” from Hartford TheaterWorks, "American Night" by Yale Rep, "Clybourne Park" from Long Wharf, "Marie Antoinette" by Yale Rep, "The Dining Room" from Westport Country Playhouse and "Twelfth Night" by Hartford Stage. The nominations for outstanding production of a musical are:“A Gentleman’s Guide to Love and Murder” by Hartford Stage, "Carousel" by Goodspeed Musicals, "Hairspray" by the Connecticut Repertory Theatre, "Joseph and the Amazing Technicolor Dreamcoat" by Summer Theatre of New Canaan, "Next to Normal" by MTC Mainstage, and "The Immigrant" by Seven Angels. Other categories include outstanding actor and actress, outstanding featured actor and actress, best director of a play and a musical, outstanding ensemble, outstanding debut, outstanding choreography, set design, costumes, lighting and sound. Reservations are required. Please call Steven Scarpa at Long Wharf Theatre at -203-772-8255 or 203-787-4284 or steven.scarpa@longwharf.org. Come cheer for the winners! How ironic is it that an architect who specializes in buildings of sturdy construction lives in a house that is literally falling to pieces? That fact is the understandable result when a member of that household, in this case the mother, suffers from a mental problem of bi-polar depression. Seven Angels Theatre in Waterbury is presenting a powerful and poignant look behind the kitchen and bedroom doors of the Goodman family in the Pulitzer Prize winning musical "Next to Normal" by Tom Kitt and Brian Yorkey, playing until Sunday, June 9. Years ago the two composers were challenged to compose a ten minute play and they chose electroshock therapy as their topic. Over time and the major cities of New York and Washington, D.C., the piece grew into the incredibly moving piece that won a trio of Tony Awards in 2009. Semina De Laurentis, artistic director of Seven Angels, has taken on formidable role of Diana, the mom whose mental issues are overwhelming everyone in the household. DeLaurentis is wonderfully and painfully sensitive as the woman who can't face the tragic loss of a son eighteen years before and so keeps him alive in her mind. Natalie's plight is aided considerably by the entrance of Henry into her life. As her first boyfriend, Henry, a winning Johnny Newcombe, offers her caring support as well as some unsuitable alternatives. Diana's plight is complicated by her medical team of Drs. Madden and Fine, both captured by a diligent Daniel C. Levine, and the pills and procedures that are offered her. Janine Molinari is clearly at the helm as director of this emotionally triggered rock musical. Songs like "Just Another Day," "I'm Alive," "A Light in the Dark," "Song of Forgetting" and "You Don't Know" help to propel the storyline. For tickets ($30-44, students $15), call Seven Angels Theatre, Plank Road, Hamilton Park Pavilion, Waterbury at 203-757-4676 or online at www.sevenangelstheatre.org. Performances are Thursday at 2 p.m. and 8 p.m., Friday and Saturday at 8 p.m. and Sunday at 2 p.m. The Tenth Annual Halo Awards for excellence in high school theater, were presented to over 40 schools in Connecticut on May 28 and 29 at Waterbury's Palace Theater. Now is the time to signup for Summer Theatre Camp, July 1 - August 16, for ages 7-9 and 10-18. Call the box office for details. More than 25 million American ages 18 and over, about 1 in 4 adults, have been diagnosed with a mental illness. Sit down with the Goodman family and watch how they cope with that diagnosis and find hope and promise on the distant horizon. 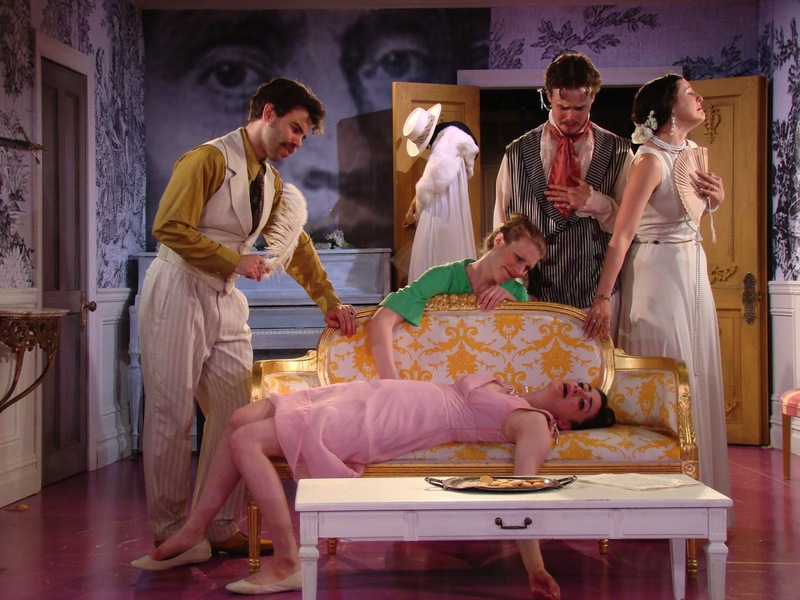 "TARTUFFE" A FABULOUS FAKE OR THE REAL DEAL? To Orgon and his mother, Tartuffe is the epitome of piety, a master of morality, a paragon of perfection, a saint. To everyone else in Orgon's household, his wife, his children, his servants and assorted relatives, Tartuffe is a scoundrel, a fraud, a conniving con artist, a charlatan. How can one man engender so many accolades and acrimonious accusations all at the same time? To learn who is the better judge of character, let the French master playwright Moliere introduce you to his 1664 play, cleverly adapted into rhyming verse by Richard Wilbur, "Tartuffe," the first offering of the Yale Summer Cabaret. Until Saturday, June 15, the Cabaret, which has been producing fine theatrical performances since 1974, will be opening its intimate seventy-four seat venue for snacks, dinner and theater downstairs at 217 Park Street in New Haven. Chris Bannow is the pompous and opinionated Orgon, the father who knows best what his family needs and wants. That his mother Madame Pernelle (Prema Cruz) agrees wholeheartedly with him only adds fire to his overinflated zeal. While he sings the praises heavenward of Tartuffe, perfectly portrayed by an imposter posing as pious in the hands of Mamoudou Athie, his family tries in vain to remove the blinders and rose colored glasses that hide the truth. Led by the maid Dorine, an astute and inventive Ashton Heyl, his wife Elmire (Michelle McGregor), his son Damis (Ato Blankson-Wood), his daughter Mariane (Celeste Arias), her suitor Valare (Mitchell Winter), his brother-in-law Cleante (Mickey Theis), the clan bands to unmask the monster in their midst, Tartuffe. The merriment and mischief reach a mountain of madness, as Orgon rejects all the implications of Tartuffe being a swindler as preposterous and signs over not only all his worldly goods to this "imposter" but promises him his daughter Mariane to seal the unscrupulous deal. Thankfully Flipote (Ceci Fernandez) a clever messenger from the King, has the power to save the day. Dustin Wills directs this romp with aplomb on an inspired set by Kate Noll, with colorful period costumes by Seth Bodie. For tickets ($14 students, $25 public), call the Yale Summer Cabaret at 203-432-1567 or online at www.summercabaret.org. Performances are Friday and Saturday at 8 p.m., with doors opening for dinner at 6:30 p.m. as well as selected Wednesdays, Thursdays and Sundays. Next up is August Strindberg's "Miss Julie" June 20-29, followed by Federico Garcia Lorca's "The Shoemaker's Prodigious Wife" July 11-20, Tennessee Williams' "In the Bar of a Tokyo Hotel" July 25-August 3 and Caryl Churchill's "Heart's Desire" and "Drunk Enough to Say I Love You" August 8-18. A late night show follows every Friday performance. Come early at 6:30 p.m. for a delicious menu prepared by executive chef Anna Belcher, featuring such offerings as baked Brie with baquettes ($8), quiche with spinach and gruyere ($7), chicken roulade stuffed with leeks and goat cheese and pommes Anna ($16) and crepes with fresh berries ($4), among many others. Will Tartuffe be unmasked as the self-aggrandizing fake he is or will he continue to deceive and delude Orgon, his major benefactor and chief cheerleader? Come discover for yourself. For Sachi Parker, the only child of mega-star Shirley MacLaine and Steve Parker, navigating her childhood was a choreographic routine of fancy footwork. Like an ice skater with weak ankles, Sachi had to learn early on to fend for herself and take cautious steps around the obstacles and challenges placed in her path. That she emerged as a beautiful, talented and successful adult, after years of struggling on an icy and dangerous course, is a tribute to her stamina and courage and perseverance. One might imagine that growing up shuttling between Hollywood, California and Tokyo, Japan, between her mother in one place and her father in the other, would be exciting and glamorous and it was to a certain extent. At the age of two, Sachi was shipped off to Japan to be raised in a household with a less-than-loving father and his mistress, under the care of a Japanese governess. Periodically for holidays and summer vacations, she traveled back to the United States to visit with her famous mom. To learn all the perils and passions of her precarious and precious upbringing, come see Sachi Parker star in her world premiere one-woman show "Lucky Me" being performed at New Haven's Off-Broadway Theatre, at Yale University, with an entrance on York Street next to Toad's Place. Performances are Wednesday, June 5 to Saturday, June 8 at 8 p.m. and Sunday at 3 p.m. For tickets ($30), go online to www.luckymetickets@yahoo.com or call producer Joanna Keylock at 203-305-7762. To Sachi Parker's credit, she survived and thrived in her colorful, eccentric and exotic upbringing, as she moved around the world for boarding schools and various occupations. In her new book "Lucky Me, My Life With-and Without- My Mom, Shirley MacLaine," she gained a valuable insight into how her relationship with her mother has changed over the years and has changed her. She knows it has made her a more devoted, hands on mom to her two teenagers, Frankie and Arin. While her mother seemed to delight in withholding praise from her daughter as a punishment, Sachi Parker has no trouble receiving well deserved admiration from her own daughter Arin. As a budding actress and writer herself, Arin was eager to add her encouraging words of praise for her mom on the show's official opening night, Friday, May 31. To Arin Parker, "I've read my mom's book two times. She has been through so much on her emotional journey and it shows so much in her work. I don't understand how she can handle so much and be so brave." Arin helps her mom run her lines, rehearsing her show, as well as being an excellent editor. She hopes to write mystery romances novels one day. For Sachi, her daughter is "the real deal," with talent coming out of her pores, more than her mother or grandmother. She calls her "a natural," who has never taken an acting class, but who knows instinctively how to act, As for her writing skills, she refers to Arin as "an old soul who writes with a depth of feeling" and she is so proud of her. This mother/daughter mutual admiration society was a delight to witness, but was unfortunately not at all the way Shirley treated Sachi growing up. "Lucky Me" is the writing collaboration of Sachi Parker and Frederick Stroppel, with direction by Douglas Moser, production by Joanna Keylock, a Japanese shoji screen and peach blossom set and lighting by Andrew Rubenoff and costumes by Deighna DeRiu. Let Sachi Parker introduce you to her decidedly unconventional and exotic life with an international flavor. You'll be amazed!